It’s that time of year again! Temps are going up and sleeves are coming off. Whether you spent the chillier months getting ready to flex, or you’d rather draw attention to your other fabulous features, we have a few tricks up our (ahem) sleeves. Here’s a roundup of the hottest top styles under the sun! The V-neck is one of the most universally flattering top styles for everyone! V-necks show off the collarbone and decolletage, which draws the eye up and down. To elongate your silhouette even more, reach for a V-neck tank that hits at the hip or slightly below. Finish the look with your favorite skinny jeans, or your favorite flares and heels. We’re loving the asymmetrical sleeve this season for their fresh twist on the off-the-shoulder top (which we still love!). With an asymmetrical or one-shoulder top, your exposed arm will appear longer because there’s a clean line reaching from your neck to your wrist. A sleeve that hits mid-arm (roughly elbow-length) is equally flattering since the slimmest part of your arm will be exposed. Stylist Tip: Channel the season (and beat the heat) in a light and breezy fabric like cotton, rayon or linen. Cap it off! Cap sleeves are so named because they literally cap your arm—concealing the shoulder and showing off your arms.This style is a secret style weapon, tip-toeing the line between showing skin and covering up. The top seam also creates the illusion of broader shoulders, which creates an instantly slimmer waist! The flutter sleeve is your arm’s new best friend. This style is all about juxtaposition: The wide sleeve hem makes your arm look slim and long by comparison. For your best look choose a sleeve that follows the natural curve of your arm. When in doubt, go with an elbow-length sleeve. 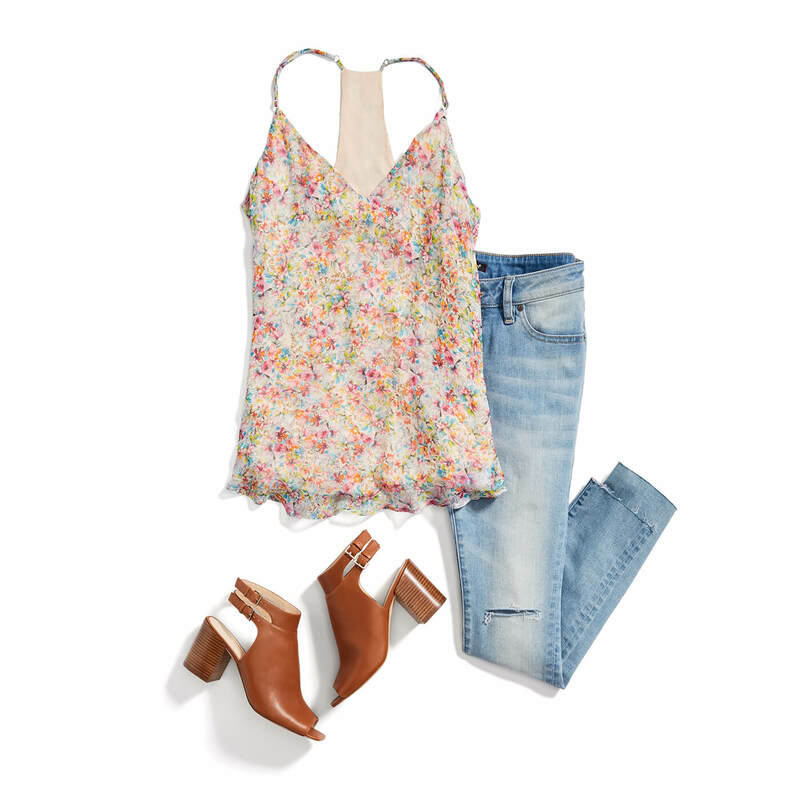 Stylist Tip: For a more bohemian look, wear it with your most lived-in jeans. To dress this style up, choose a more structured fabric like a crisp cotton shirt. If you’re looking to camouflage your upper arms, you’re in luck. 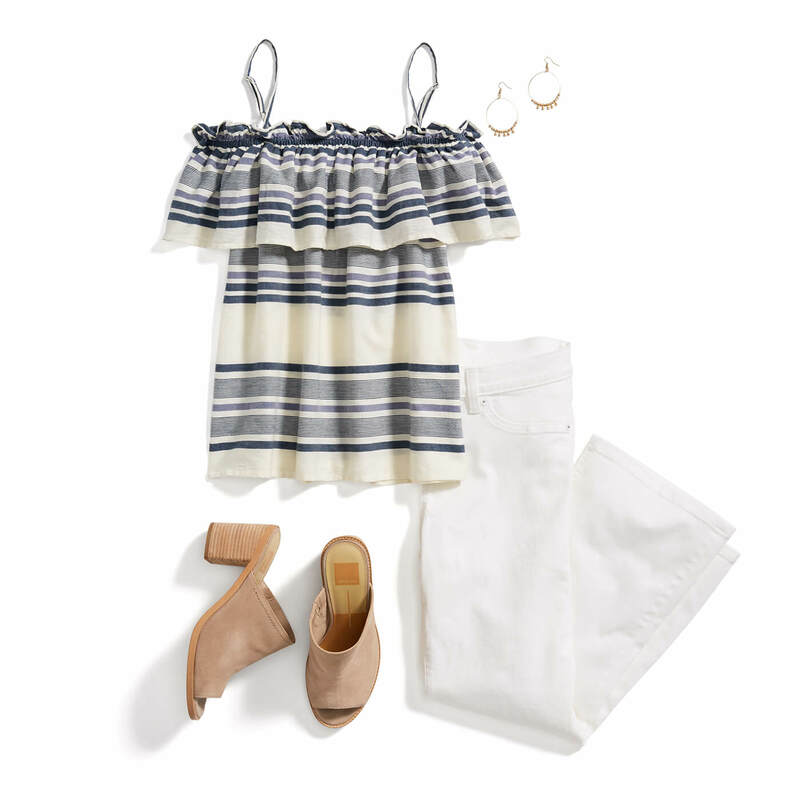 An off-the-shoulder top is your new best friend. Between the loose cut of the top and the frilly, non-constricting overlay, you’ll have a comfy range of motion and coverage where you want it most. 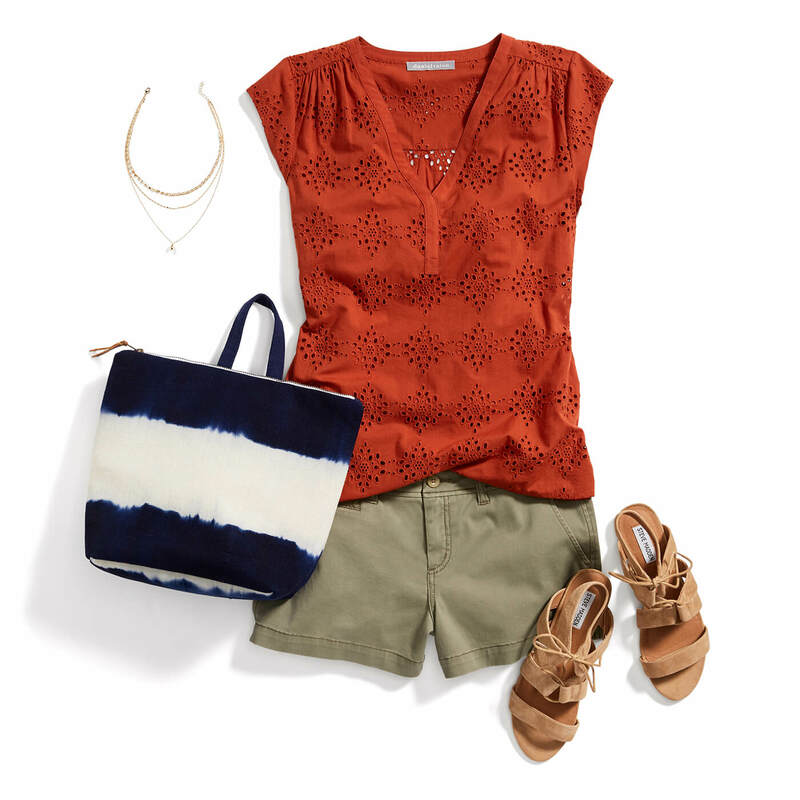 Stylist Tip: Balance the flowy lines of this top with some structured skinnies. Which tops are you wearing this summer? Tell us in the comments!